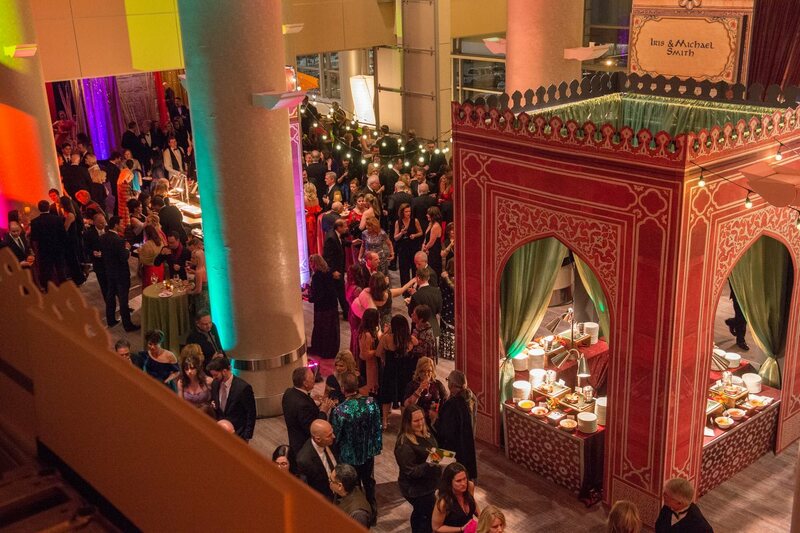 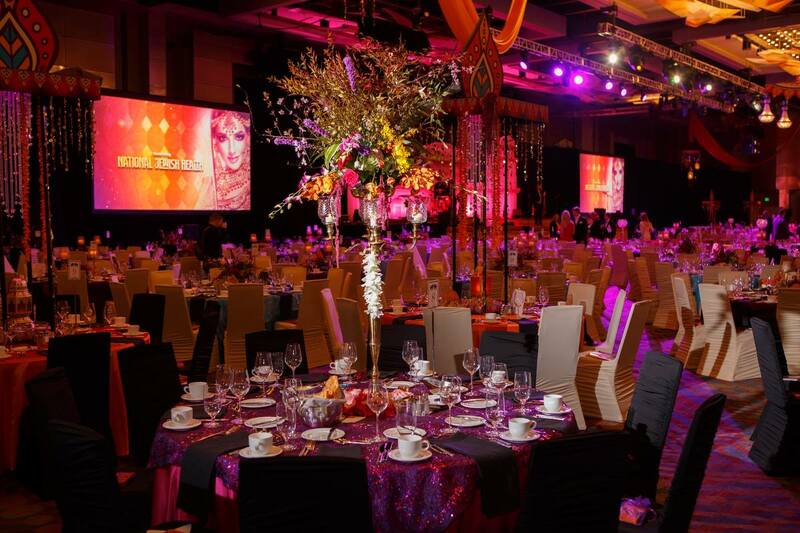 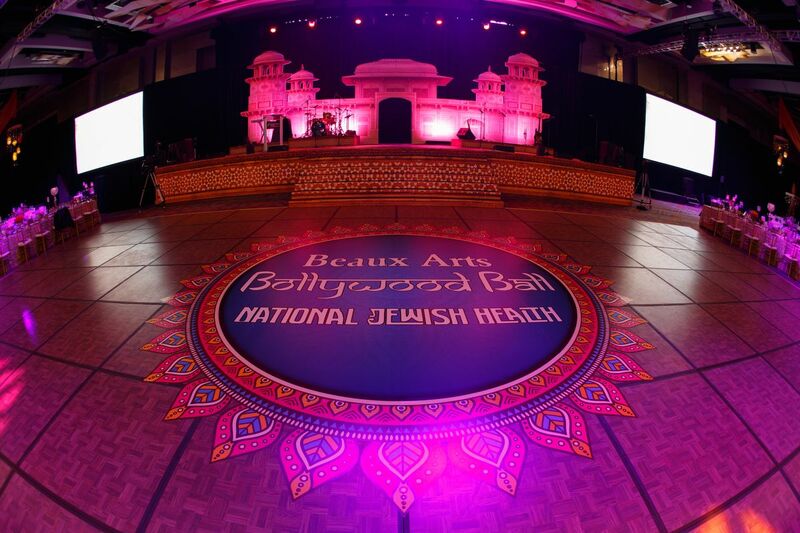 The Beaux Arts Ball, benefiting National Jewish Health, was located at the Colorado Convention Center in Denver, hosting more than 1,200 people. 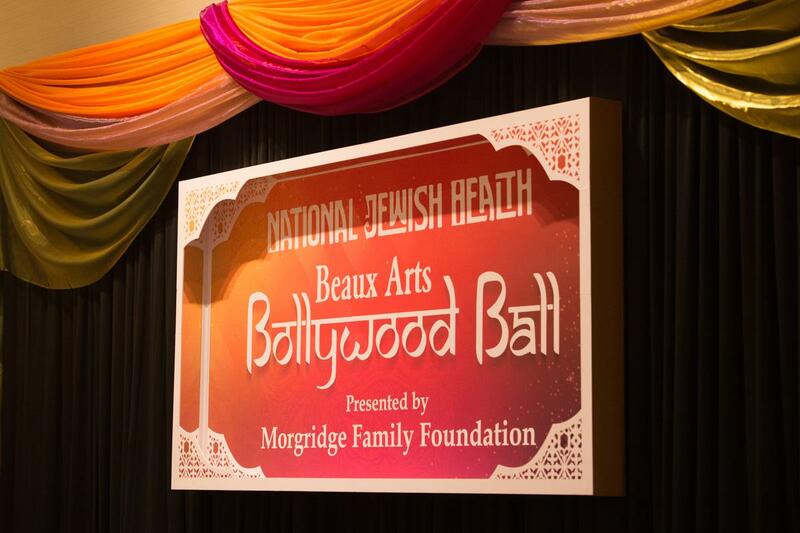 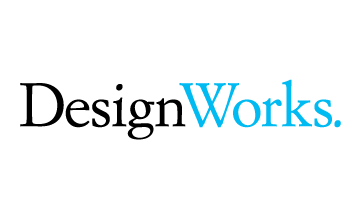 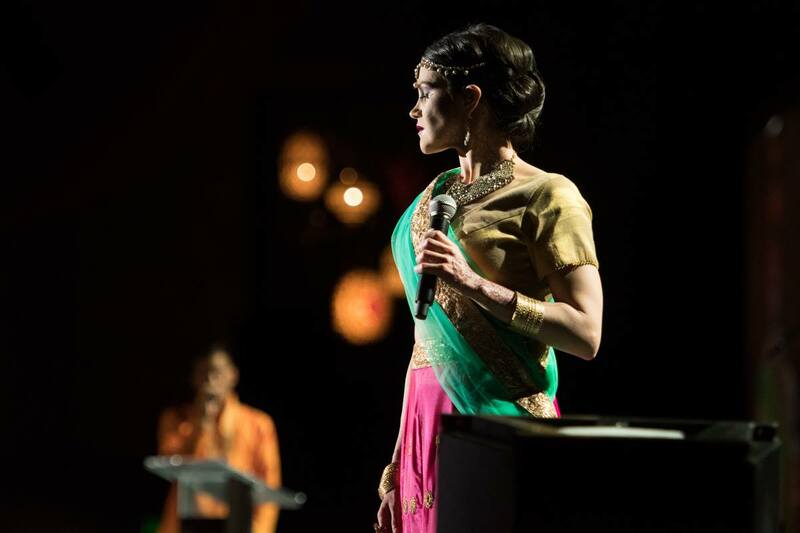 This year’s event was inspired by the world-famous Bollywood film industry. 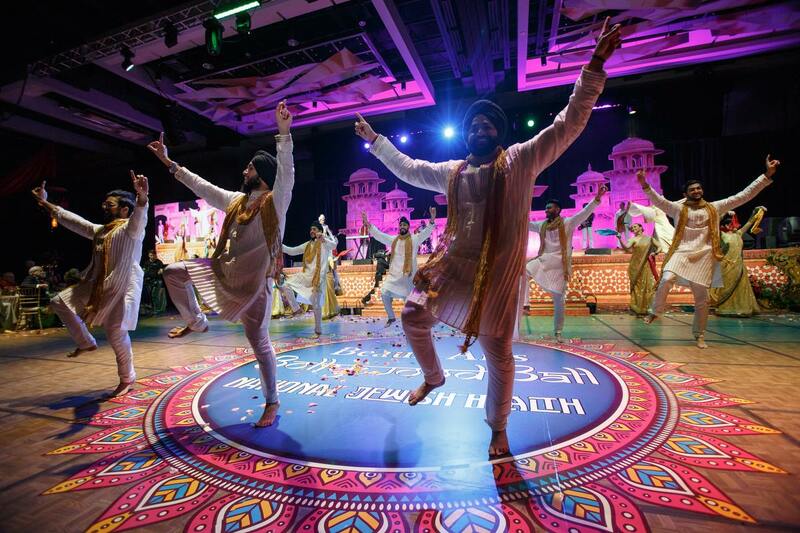 It was a celebration of the beautiful colors, textures, music and dance that are woven throughout the art and culture of India. 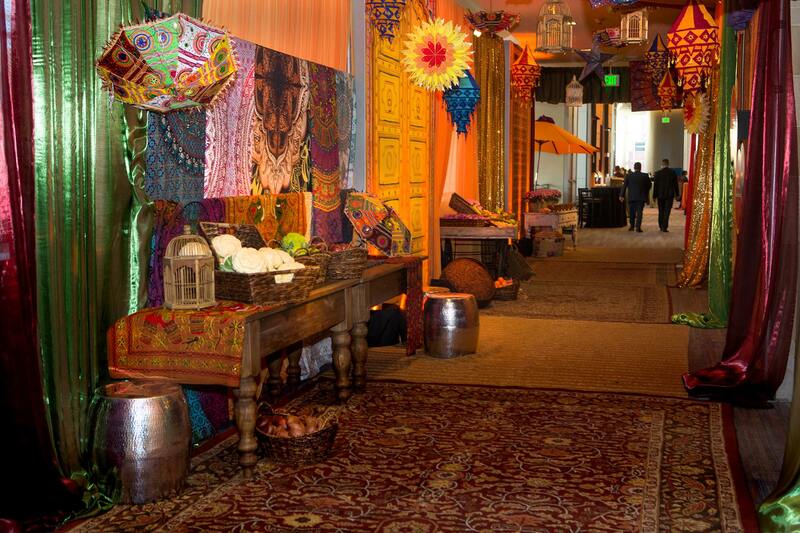 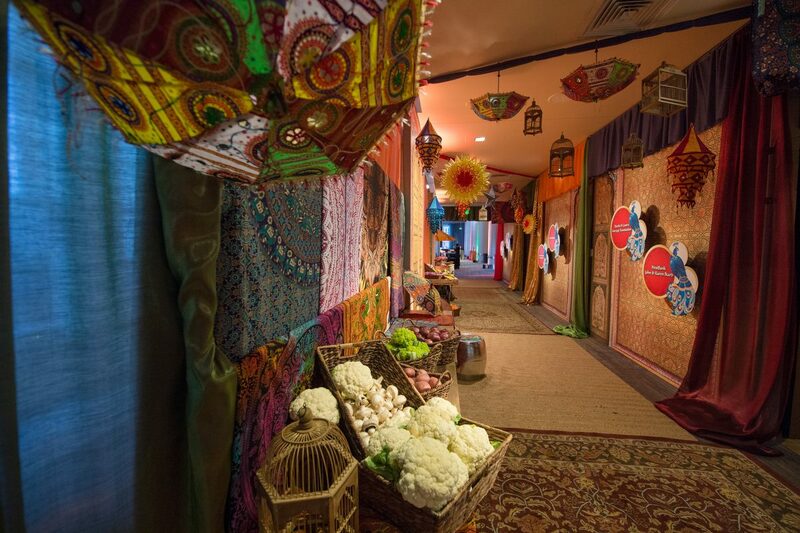 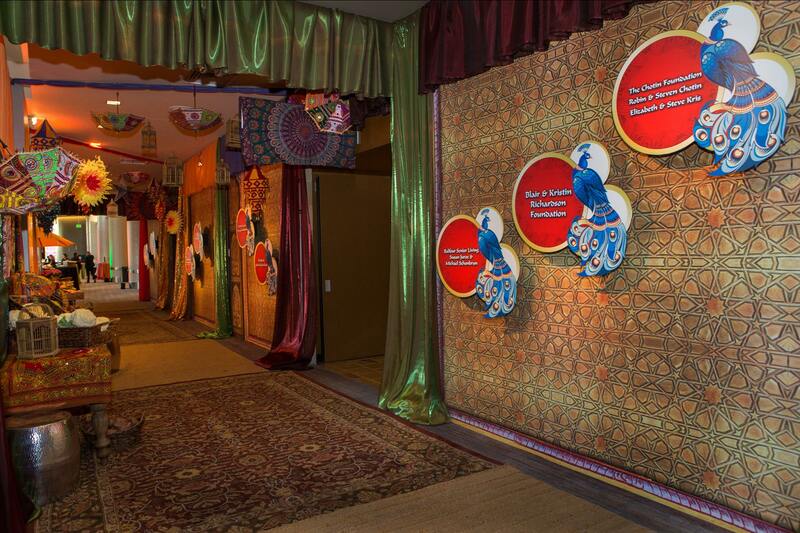 The vibrant Indian Street Market continued into the Grand Court Gallery, recognizing donors along the bright, colorful hallway. 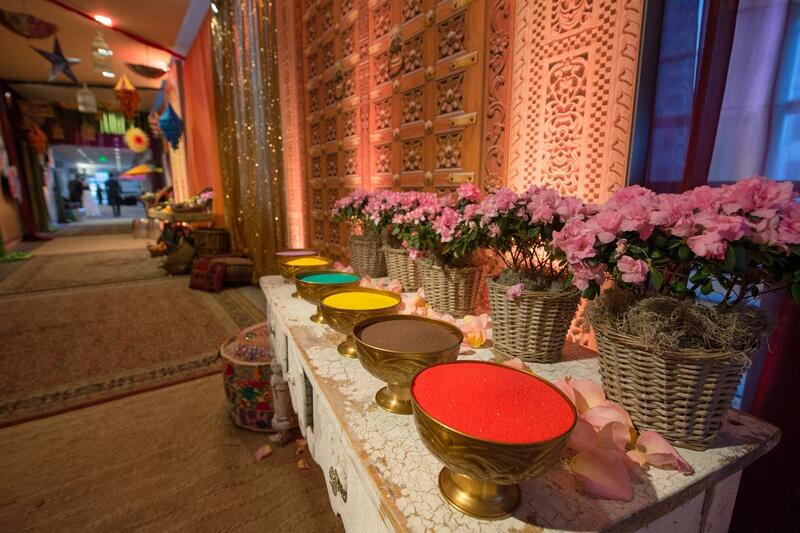 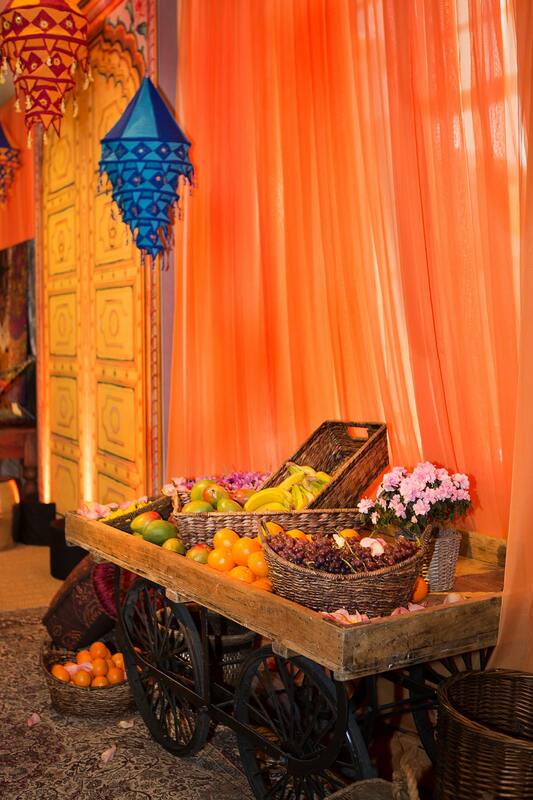 Textural drape provided a blank slate to fill with a wall of flowers, vivid tapestries, sponsors, a variety of tipped fruit and vegetable bushels, and bowls of colorful cooking spices. 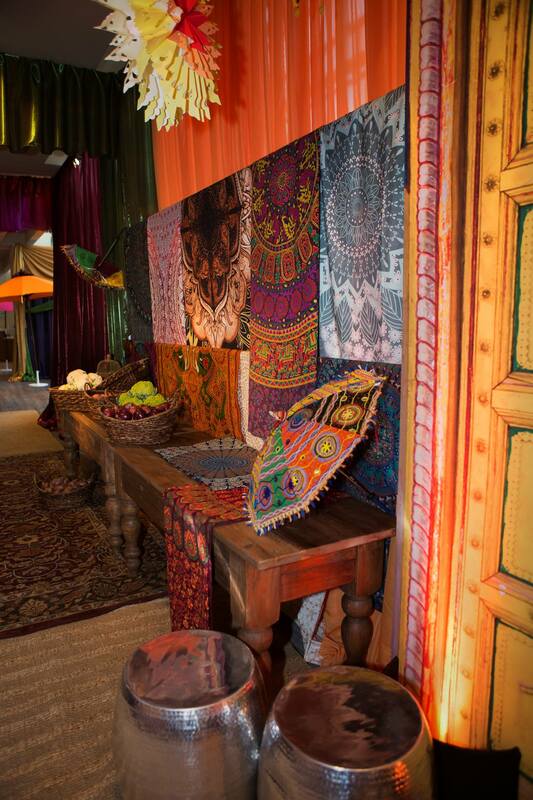 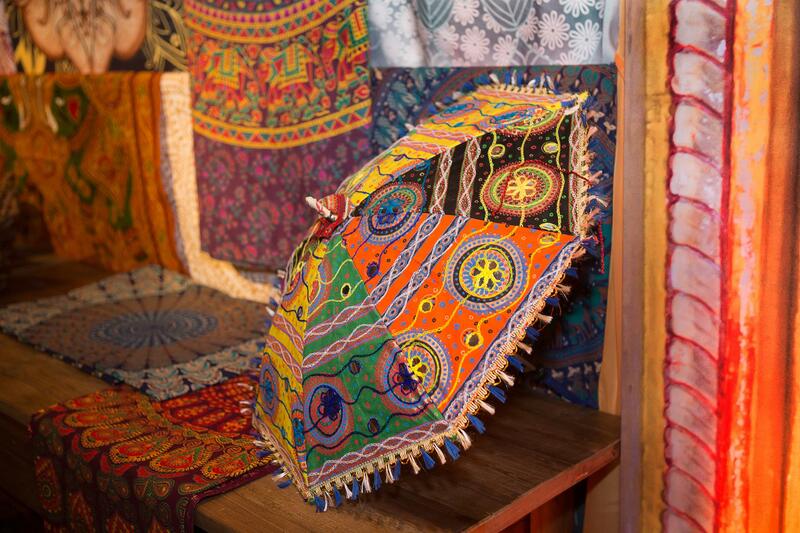 Additionally, fabric beams floated overhead giving the illusion of walking within marketplace shops. 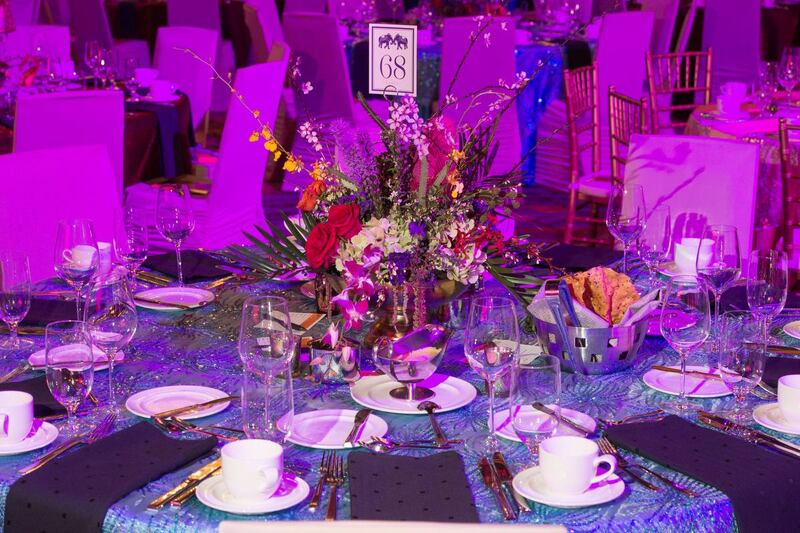 As guests entered the ballroom, sections of the perimeter were draped in violet, red, and gold fabrics. 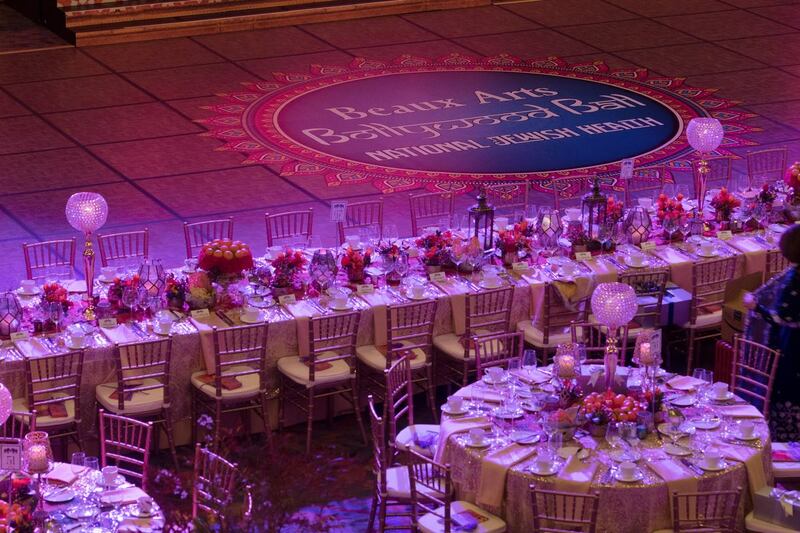 Sparkling gold chandeliers hung from within, adding an elegant feel to this vibrant space. 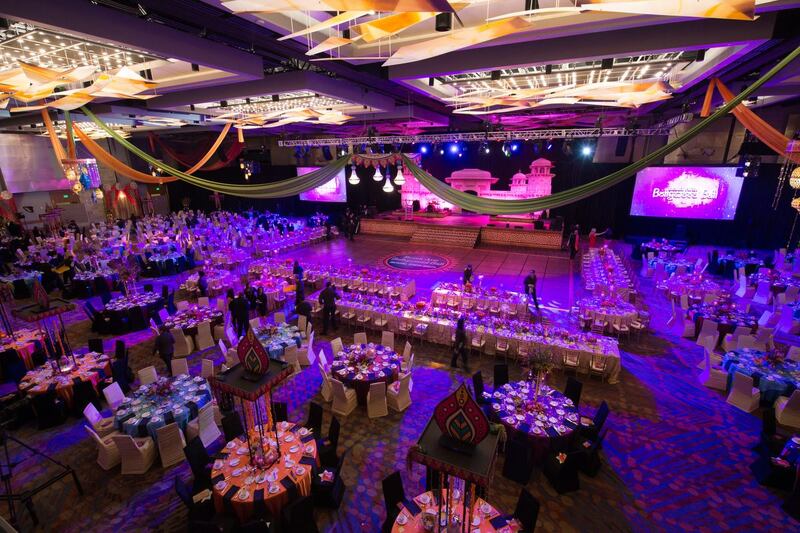 The stage decor will spanned the length of the stage, creating an incredible focal point in the room. 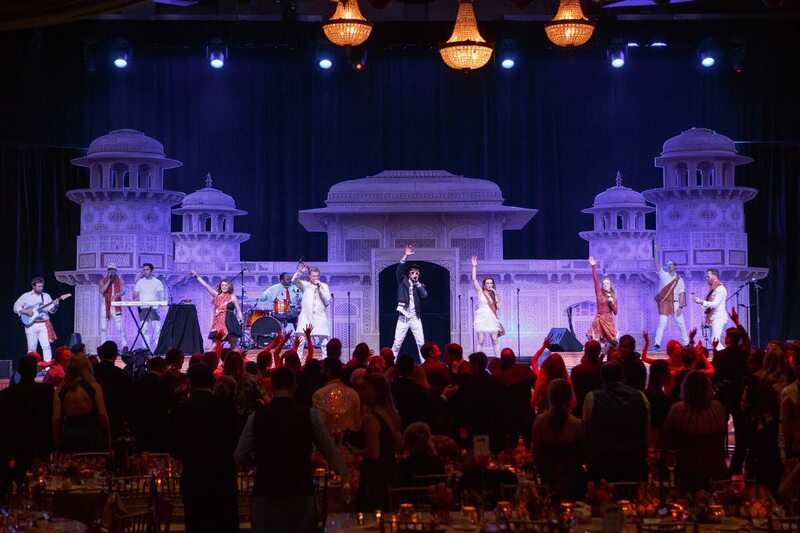 India palace architecture columns rested on the back of the stage with colorful fabric swags in golds/oranges and hot pinks. 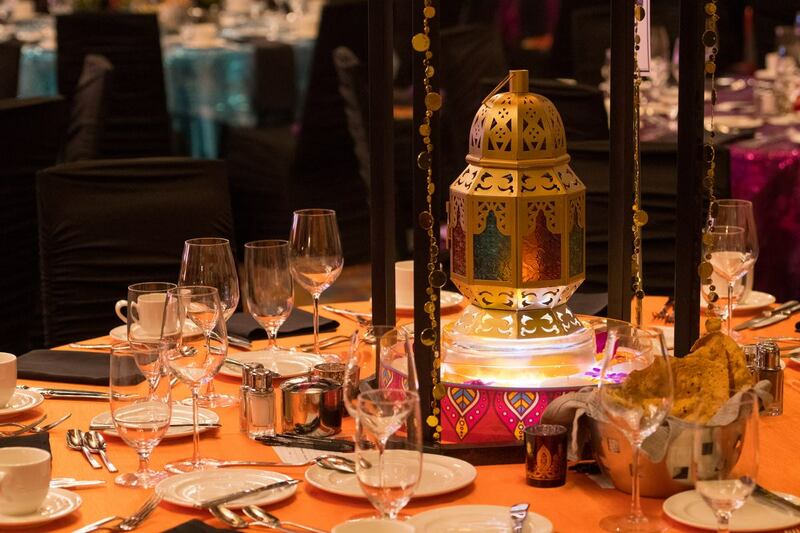 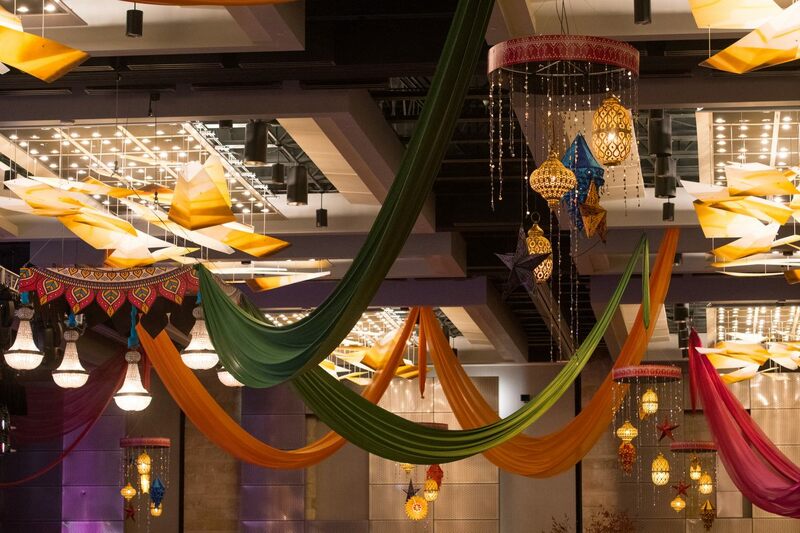 Floating above the guests throughout the evening were a festive design of exciting, over-sized lanterns in a bright metal grid and colorful fabric swags. 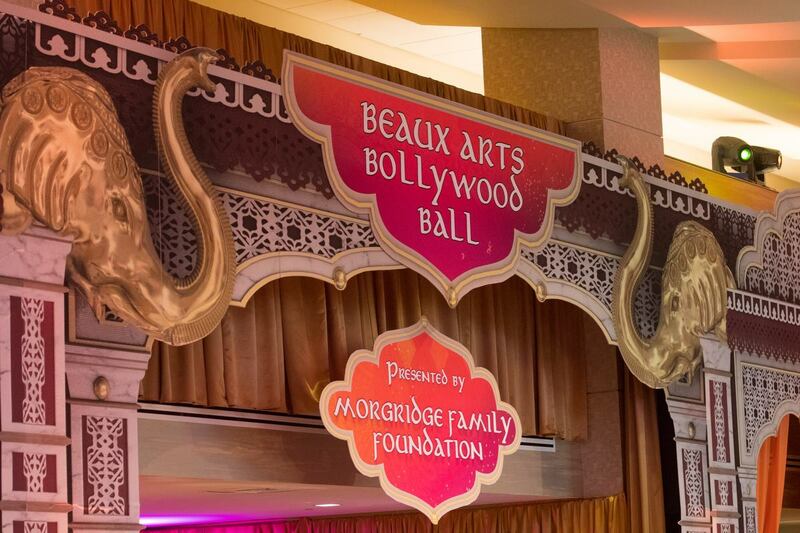 Finally, guests danced the night away on a themed dance floor, featuring a colorful vinyl “Bollywood” graphic inspired by the invitation.